This entry was posted in Crossover and tagged 2016, Clash, Denali, Lincoln, NAVIGATOR, SUV, Titans, versus, Yukon on December 1, 2015 by Sam. This entry was posted in Compact and tagged 2015, Denali, Economy, Fuel, RealWorld, Yukon on June 15, 2015 by Sam. This entry was posted in Luxury and tagged 2015, AllNew, Denali, Interior, Luxury, Space, Yukon on May 1, 2015 by Sam. This entry was posted in Luxury and tagged 2015, Control, Denali, Luxury, Magnetic, ride, Yukon on April 20, 2015 by Sam. This entry was posted in Luxury and tagged 17728A, 2015, Acadia, Black, Denali, Luxury, Martinsville, Used, vehicles on April 8, 2015 by Sam. 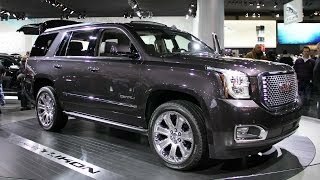 This entry was posted in Large and tagged 2015, compare, Denali, Lincoln, NAVIGATOR, SUVs, Yukon on March 31, 2015 by Sam. This entry was posted in Large and tagged 2015, Denali, Full, improved, redesigned, SIZE, Yukon on March 22, 2015 by Sam. This entry was posted in Luxury and tagged 2013, Denali, Luxury, Reveal, small, Terrain on December 8, 2014 by Sam.